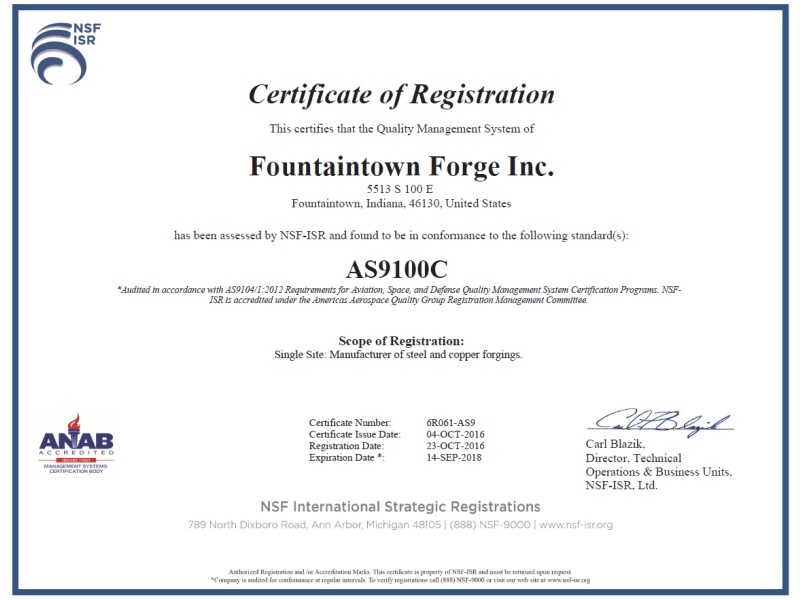 Fountaintown Forge has been manufacturing quality forgings for over 35 years. We are proud of our proven record of personal service and highest quality workmanship. We have the manufacturing facility, machinery, and personnel necessary to provide the best in the forging industry. 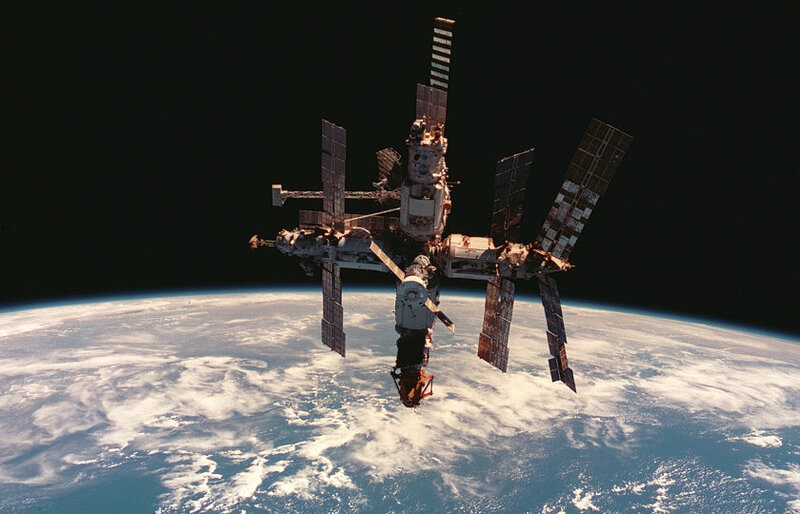 We offer personal attention to your job from concept through delivery and manufacture the highest quality forging possible consistent with competitive pricing policies. 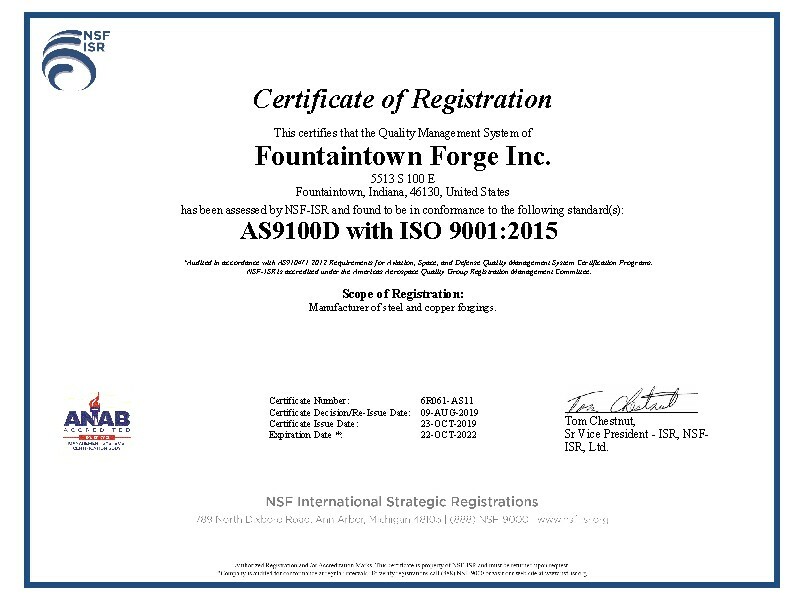 Fountaintown Forge purchases the finest of Aircraft and Aerospace raw ingot materials from the highest qualified VAC and VIM service steel mills for all your forging needs. See our Alloys We Forge page for more details. If the material is not listed please contact us for your forging requirements. You can learn more about the History of Fountaintown Forge here. On our Staff page, you can meet some of our key personnel, putting a face with the name. And on our Certifications page you can download copies of our ISO 9001:2008 and AS9100:2009 certificates.